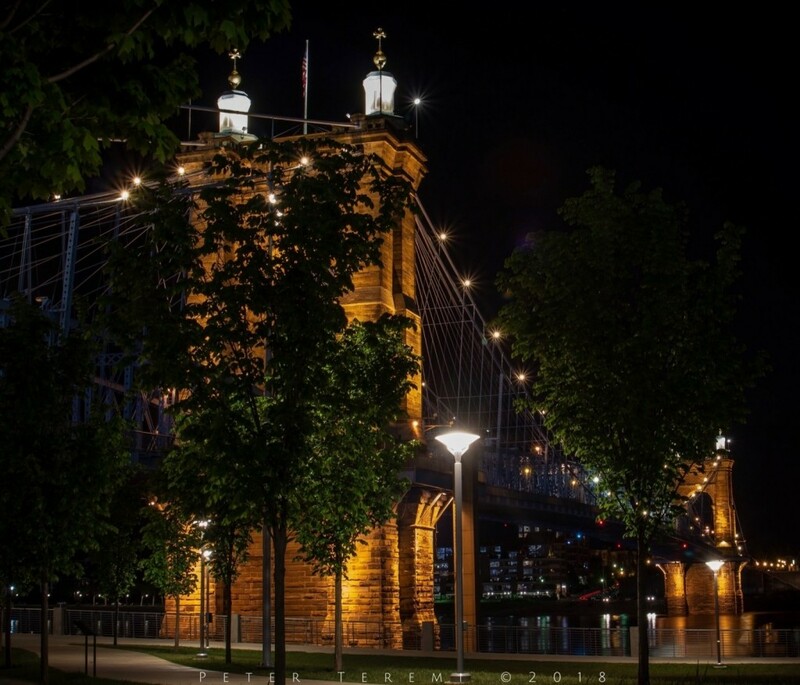 Suspension Bridges are Iconic, and the John A. Roebling Suspension Bridge, connecting Cincinnati and Covington Kentucky, is no exception. Well, now that I think about it, perhaps it is. There are Bridges all over the world, but the one’s I think of as iconic, are the Golden Gate Bridge in SanFransico, the Brooklyn Bridge in New York, and of course, the John A Roebling Suspension Bridge here in the Queen City. What do all of these Bridges have in common? Certainly they are beautiful, both architecturally, and esthetically. But they are all suspension designs pioneered by John A Roebling, who built the Cincinnati bridge in 1867, the Brooklyn Bridge a few years later, and the Golden Gate Bridge, completed in the early 20th century. The design and technology he helped pioneer, span the test of time (yes, couldn’t help myself). After more than a century and a half, these classic designs still capture our collective imaginations, bring cities together, and connect the past with the future. After all, isn’t that what bridges do? Thank you for coming along on this expedition. Murphy and I wish our friends all the best. Happy Murphy-Cam!